My last studies were taken at Hippocrates Health Institute. (Link to their free syllabus below). It was a very educational year and turned my life around really. So I had an opportunity to share with others what I have learned by way of getting Brian Clement, from Hippocrates, to speak here in Dallas. I was offered the opportunity to put an engagement together and I can only hope that I get that chance again in the future. The time I had to make that happen was short. I would have to move swiftly! As this blog doesn’t pay a salary just yet, I have gone back to full-time work, had family coming to town, busy life etc, I had exactly one place I thought would be perfect; the Seventh Day Adventist Church I pass on my way to work each day. Feeling like kismet, holding fond memories of being SDA, I reached out. I reached out again and again before getting an answer. Slam Dunk Nope Nada! And I had thought, as they are old testament in their food and beverage choices, promoting a vegetarian if not vegan diet, that this would dovetail very nicely with whatever Brian had to say as guest speaker. These were spiritual minded people who are already being educated on the best way to eat and now they can learn even more, perhaps even invite friends who may not be as religious but learn something healthful. This blog is secular and Hippocrates is not a religion but a place to heal and learn healthy eating and to educate you as to how your dietary and lifestyle choices affect the earth and all who populate it. While spiritual matters were lightly discussed in the sense that we should have and hold to our spiritual beliefs, they significantly help us achieve a happy and abundant life, religion perse was not discussed. It is with an open mind that we come to the table and learn, grow and maybe change our direction. I had this conversation with a colleague at work because this really upset me. I felt entirely responsible for losing this opportunity. What had I said that was so bad? If these folks are so serious, where on earth do they shop? Is not the grocery store secular? Where on earth do these fine SDA parishioners shop at for their plant-based diets, or wherever they may buy their tires, their clothing, their homes or dine out? What TV do they watch, what speakers? How on earth is all of this controlled? Is Amazon Christian? What about each shop on Amazon? Is Kroger god-fearing and if so, what religion? What about each and every employee? What would the world be like if only someone who appeared to think, believe, feel and act exactly like you, got the free pass, got to speak on a topic they were expert in, got your patronage, got hired at work? How then would you spread your message of light? I want to place special emphasis here on the word ‘appeared’ because what appears is not always so. I had hoped to pass out information and samples of organic skincare. I had hoped to hear Brian speak. I am not a speaker, no I hide behind a keyboard. But I did want to be there to take it all in and learn more and help others learn about some fantastic organic products. I was really excited to have this opportunity given to me. To say this was a complete kick in the teeth being shunned as I was, is just understating the devastation I felt. In the transaction, I lost all interest in trying this church. I took this as a message to stop seeking out church as it solidified why I don’t go anymore. I have left due to hypocrisy before and just flat misunderstandings of the word, of me, or what God wants. I am not saying here for you to leave your church. If you seek and find comfort there, edification, sanctification, then by all means go. What I do know is this: The laws of God are written in our hearts. We already know right from wrong. Daily we make the choices that lead us forward or backwards. Judgement trumps compassion and we are called to compassion, to learn to love more fully and to accept. We are not here to judge, we do not excel at it, that is God’s providence. We must all be mindful of becoming narrow-minded, egoist, short-sighted because when we are, be become a detrimental stumbling block to others. No matter who is invited to speak, that individual is human. They may or may not believe exactly as you do. The person in the pew next to you probably doesn’t believe exactly as you do. There are imposters everywhere, well-meaning or ill-meaning folks at various levels, backsliders and folks who just go because their spouse does or it’s good for the kids, or to meet people. In every church I have attended, there are folks that completely stick on something and go out into left field with that. This is human nature and you don’t escape that in church. You cannot, on this earthly plane, create Utopia, it ain’t here! No, your parishioners are confronted with real life all day and all life long. The last time I left a church was Mount Zion. I was new here and didn’t know of an SDA church so I settled based on a recommendation. It was a lovely delightful church, non-denominational, and the preacher had two young and great kids and he also worked as a vet, a very kind compassionate man. It was a small congregation and I knew the family very well. His kids would often sit next to me. I worked then as a DJ for KZEW (13 years the home of Rock and Roll). I was Nicki Clark on air. Great good times and I adore great music. Being passionate about music, I also very much believe ‘Garbage in, garbage out’ and strictly monitor my music collection. I did not buy or play anything that espoused a life that conflicted with my morals which were Christian based, simply because this is how I was raised. I had numerous discussion on the topic, maintaining it was never about the beat but the lyrics that mattered. Lyrics have always mattered to me. So after being cajoled and having this discussion repeatedly, the preacher preached…in the pulpit…at me….about rock and roll one day and basically that I was in the wrong job. I wasn’t. I was exactly where I needed to be. He could not see this. He was a diehard Lawrence Welk fan and I can appreciate that, however, there is nothing wrong with rock and roll, or disco, or any of it, provided you are listening to something that uplifts, edifies, is moral. And so, I left that church. I find God in nature, in food, in great architecture, in books, music, really he is hard to miss! 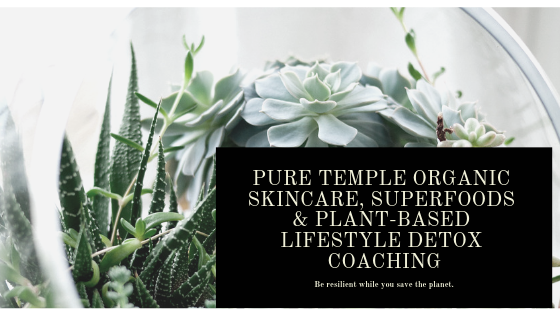 http://puretemple.org/ This is my blog Health, Planet Sustainability and Vegan Diet – where you can find info on anything from foods, recipes, a toxin-free sofa to dog food. https://op.hippocratesinst.org/moreinfo/static/34 For the free syllabus Online Life Transformation!